Register now for the CEDP’s annual convention! Register now for the convention! Once again this November, the Campaign to End the Death Penalty is headed straight to the belly of the beast – Texas – for a weekend of struggle and organizing! 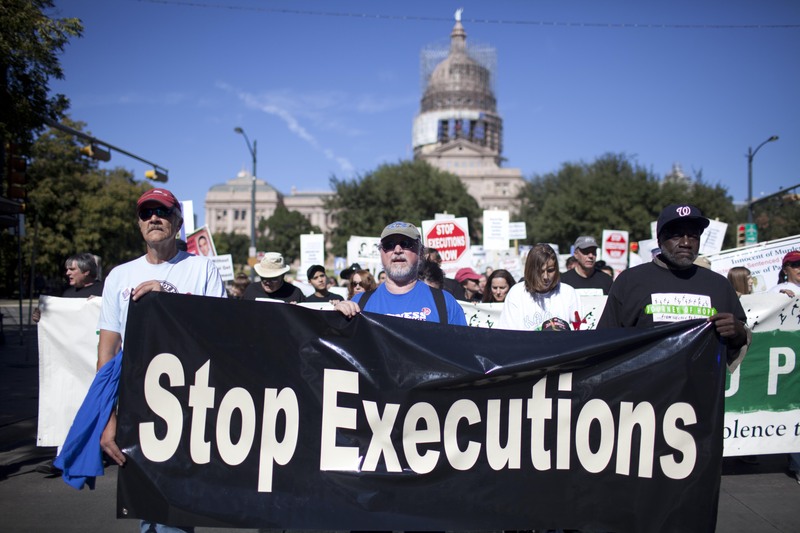 This year’s convention will take place the same weekend as the 13th Annual March to Abolish the Death Penalty – an event that will be at the heart of the weekend on Saturday November 3, at 2PM at the Texas State Capitol. And of course, we will be taking the time to talk about questions on how to build a movement that combats racism in the criminal justice system, supports resistance behind bars, aims to end mass incarceration and harsh punishment and makes the death penalty history. Our convention is always a place for family members of prisoners, former prisoners, and activists to gather, share our stories and experiences, and strategize next steps forward for our organization and the cases we work on. We hope you will join us November 2-4 in Austin, Texas for our 12th annual national convention! This year’s registration includes a special Saturday morning breakfast. Regular registration is $40 including the dinner, and $20 for family members, former prisoners and students. There will be a Friday evening event which is free to all convention attendees and others. Register now for the convention! Or you can mail in your registration to: CEDP, P.O. Box 25730, Chicago, IL 60647, and make your check out to the CEDP. We have reserved a block of rooms at the Clarion Inn at a special rate of $113.85 (includes tax). To make reservations, call 800-434-7378 and mention the Campaign to End the Death Penalty. The hotel offers a free breakfast and is within walking distance of the convention site. Check out the Clarion website to view pictures or get more information. For a map of the hotel and convention site click here. The Campaign to End the Death Penalty is excited to be hosting our annual convention in Austin at Ventana Del Soul. Ventana is a charitable organization that provides food service and culinary arts training to young people and adults who are undermployed – with a emphasis on reentry support for the formerly incarcerated. The Ventana Del Soul facility hosts a kitchen and café that is open daily, as well as catering services. The folks working at the venue are part of Ventana’s various training programs, often through scholarships provided by the organization. No outside food and drinks should be brought into Ventana Del Soul. This is an exciting opportunity to collaborate with a charitable mission the meshes nicely with the CEDP’s commitment to fighting against the injustices in the system. We should do whatever we can over the weekend to talk with and support the folks at Ventana Del Soul. For more information check out Ventana’s website. Every year, because of contributions like yours, we are able to fly family members and former prisoners to this annual gathering where they are able to participate, speak, share their story their pain and their hope. The fund is named after Costella Cannon, our dear friend and a fellow Campaigner who died in 2003. 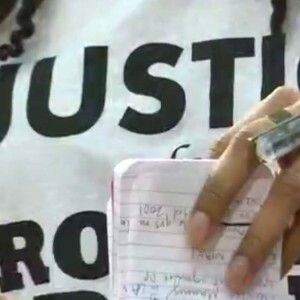 Her son was wrongfully incarcerated and a victim of torture and died while incarcerated. The voices of family members and former prisoners are so important to the movement for justice. Politicians want us to think that the men and women behind bars are monsters. We know that this is not true. Family members and former prisoners put a human face on the criminal justice system. Their contributions to the movement are invaluable. As Lawrence Foster, grandfather of former death row prisoner Kenneth Foster once said, convention is a place where activists become family members and family members become activists. Please donate what you are able to make sure that we have funds to get these important voices to our convention. We are so grateful for any support folks can give. Make a donation online here. Abolition breakfast: Why we march! One struggle: The Campaign to End the Death Penalty and the new movement for racial justice. Our vision for winning abolition: How we fight matters! We want to attend the conference but we will not be in Austin until around 5pm tomorrow. do you have agenda and can we register/pay at event? I will be bringing 3 adults and 3 children. Sarilda Routier will be staying at the hotel and she will be separate, but she has one other with her. I don’t know when they will arrive as they are coming from Lubbock leaving around 11 am. I have about 500 flyers on my daughter’s case to set somewhere for distribution. Do you know how many are attending?